This doesn't come entirely as a surprise, considering it snapped up smartphone maker Nextbit in January. In early October, Razer SVP Tom Moss also tweeted a photo of him with CEO Tan Min-Liang that cheekily showed what looked to be a phone sticking out of Tan's pocket. The screen is the obvious standout feature, and Razer says its 120Hz UltraMotion display can deliver the smoothest graphics among today's smartphones. 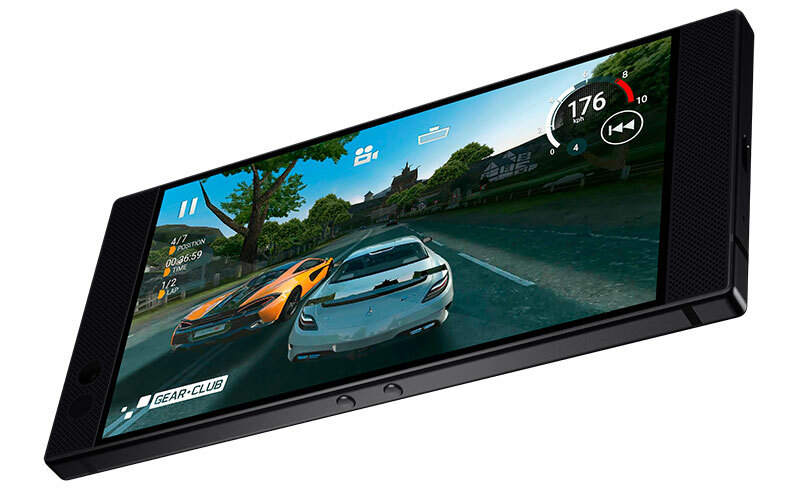 The UltraMotion adaptive refresh rate technology also synchronizes the GPU's output with the display to reduce screen tearing and lag, based off Qualcomm's Q-Sync technology. This isn't the first phone or mobile device to have a 120Hz screen though, and some of Sharp's Aquos phones already have the feature, in addition to Apple's latest iPad Pro with its 120Hz ProMotion display. But for all the attention given to the display, Razer isn't neglecting audio either, and the phone features front-facing stereo speakers powered by dual amplifiers. There's also Dolby Atmos support, which we usually see in sprawling home theatre setups, so it'll be interesting to see how this plays out on a phone. And then there's the part that can make or break a flagship smartphone today - the camera. 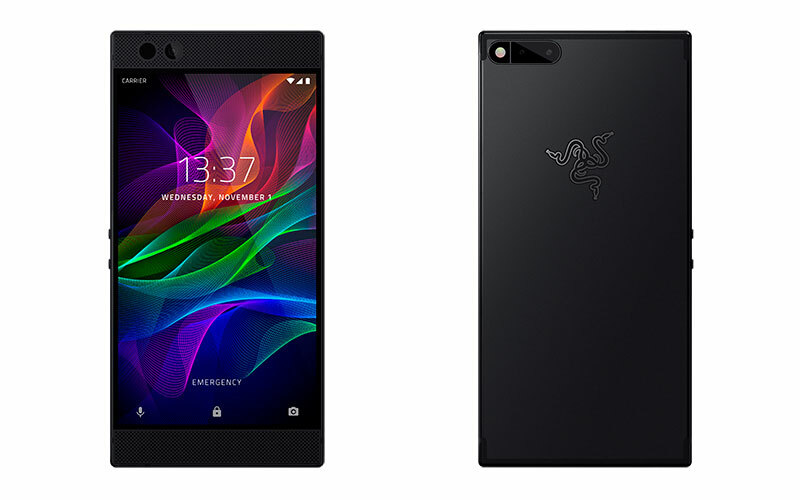 Razer is going down the dual-camera route, pairing a wide-angle 12MP camera with a second 12MP telephoto lens. It also comes with a dual-tone flash for more natural lighting and employs phase-detection autofocus for faster focusing. However, the phone doesn't use optical image stabilisation, and Razer has gone with a software-based electronic image stabilization instead. In addition, you'll get 64GB of built-in storage, but there's also a microSD card slot that will let you pile on an extra 2TB if you need it. The Razer Phone ships with stock Android 7.1.1, but an update to Android Oreo is coming in Q1 2018. Nova Launcher Prime and Google Assistant are bundled by default, and the launcher should provide a wide range of customisation options to power users. The phone will cost US$699 and will be available to buy on 17 November in the US, Canada, UK, Ireland, Germany, France, Denmark, and Sweden. The price is actually quite a pleasant surprise, bucking the recent trend of flagship phones that cost nearly US$1,000. We'll update once we have news on local price and availability. This article was first published on Hardware Zone.